I was at Costco this weekend, and found some items are worth a trip- if you can stay away from the items that aren’t so great of deals! This is the same as paying $1.22 per box at the store, which is a great deal because my kids like them. We put them in the freezer for their school lunches. Nonfat Milk was $3.59 for 2 Gallons!! I forget what the other types were, but that is a GREAT deal for a family that goes through a lot of milk! Same as paying $2 for a 20ct package at the store! When I started couponing I ended my Costco and Sam’s Club memberships because I was saving so much more money buying with coupons. 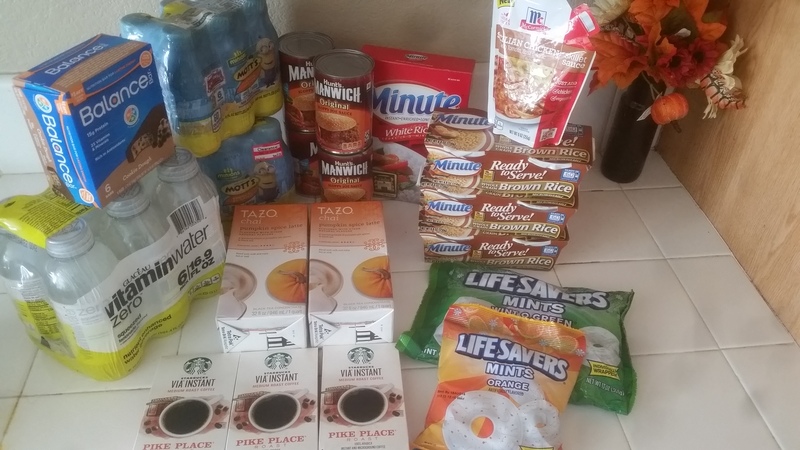 Plus, I would always buy “extra” items and still need to supplement regular items to go with what I bought at Costco or Sams and always seemed to go over budget. A couple years ago, I was given a Sam’s Club and a Costco membership. So when I see good deals at either places I let those of you know who do have the memberships. I have found that milk, eggs, trashbags, bottled water, and a few other items are sometimes worth a trip there, and a cheap lunch/snack trip with the kids! 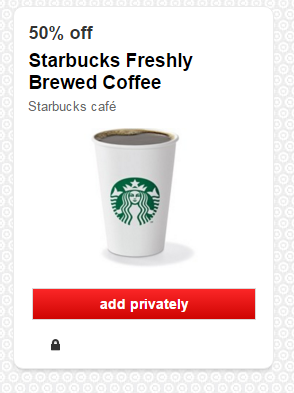 50% Off Starbucks Coffee at Target! You can add 50% off Fresh Brewed Coffee (Cold Brew works too!) to your Carthweel App. This is only for Targets that have Starbucks inside!! This coupon has to be added from a Desktop Computer! It’s $5 Monday at Raley’s and Bel Air 10/19 Only! Here are the deals good for Monday 10/19 Only! Grabbed some coupon deals at Target! and 1 $5 Target Card! Starbucks Via $5.49-Buy 3 get a $5 Target Gift Card! FREE Milk Promotion at Raley’s and Bel Air Unitl 10/20! At Raley’s this week, they are having a FREE Milk Promotion!! 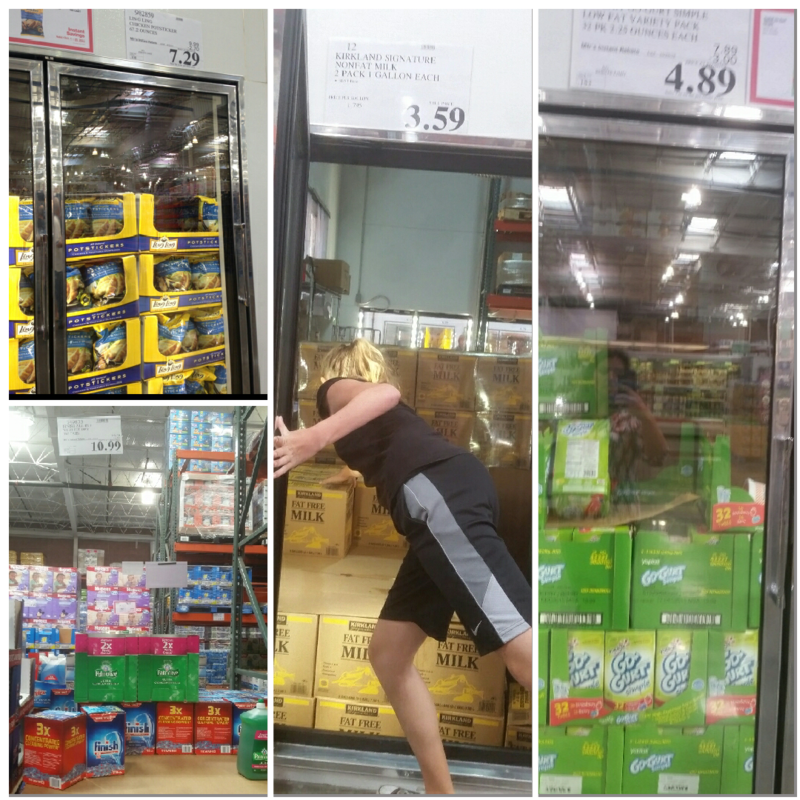 Pay $7.50 for 5 Boxes of Cereal and 1 Gallon of Milk!! Pay $8 for 10 Yogurts, 2 Boxes of Fiber One and 1 Gallon of Milk! Starbucks Via Deal at Target-$2.74 Each PLUS a Free Starbucks Gift Card! Pay $13.22 and receive a $5 Target Gift Card! **PLUS submit for a $5 Starbucks E-Card when you buy 3 Starbucks items!! 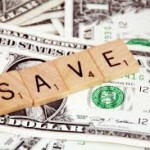 Join Me For a MoneySaving Coupon Class Thursday October 22, 2015! Join me for a coupon class for only $5-and that includes pizza!!!! 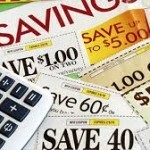 ****Plus many other money-saving tips I have learned in the last 6 years!!! It is going to be a great night and I look forward to meeting you all! If you have any questions, leave me a comment, or email me at Diana@PantryOverflow.com! 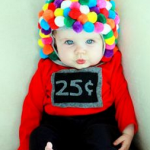 Looking For Halloween and Fall Costume, Recipe, Decor and Money-Saving Ideas? 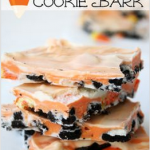 If you are looking for some new ideas (that are fairly inexpensive) for Costumes, Decor, Pumpkin Decorating, Party Food, and more-Check out my Pinterest Board!!! Disney On Ice Is Coming, and I Have TICKETS TO GIVEAWAY!! To WIN FREE TICKETS–Comment on this post, share on Facebook, Share on Twitter..I will pick the winner on Wedensday October 14th!!! WHAT: Nothing can stop a princess from a celebration of royal proportions when Rapunzel, Tiana, Snow White and Cinderella star in the sensational ice skating production of Disney On Ice presents Dare to Dream Presented by Stonyfield YoKids Organic Yogurt. 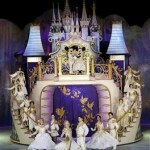 Relivememorable moments from Tangled, Snow White and the Seven Dwarfs, Cinderella and The Princess and the Frog as a cast of world-class skaters brings the romance, humor and adventure of the films to life in this contemporary skating spectacular. Join your hosts Mickey Mouse and Minnie Mouse for a princess-packed adventure, Dare to Dream whisks audiences away on exciting journeys where dreams really do come true! Laugh at Disney’s hilarious hair-raising escapade, Tangled, as Rapunzel; her unlikely companion, Flynn; and Maximus, the Captain of the Guard’s determined horse; embark on an uproarious journey that takes adventure to new lengths! Travel to the enchanted forest with Snow White and the Seven Dwarfs as Snow White escapes from the Evil Queen in her search for her one true love. Watch as fanciful dreams become reality as Cinderella meets her Prince Charming, with a glass slipper fit for an unforgettable fantasy come true. And boogie to the beat of the bayou in a magical, musical journey that celebrates the story of The Princess and the Frog with Princess Tiana and Prince Naveen. Experience the beauty, sparkle, and spirit of the ultimate Disney Princess event of a lifetime when Disney On Ice presents Dare to Dream Presented by Stonyfield YoKids skates into your hometown! All seats are reserved; tickets available thru Ticketmaster.com, charge by phone at 800-745-3000 or visit the Sleep Train Arena Box Office. *Tickets may be subject to service charges, facility and handling fees. Have You Ever Considered RENTING Your Wardrobe??? I kept seeing advertisements for Gwynnie Bee and finally checked it out. So, if you are a size 10-3x there are lots of dresses, blouses, pants, blazers to choose from. 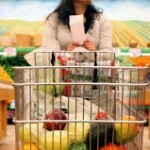 You pick how many items you want to ‘check out’ at a time and that determines how much your monthly plan is. Much like Netflix, you return them, and they send out the next outfit in the closet you have filled. Many of their clothes are simitlar, so if you find a style that fits you great, it will be esier to choose clothes from then on. I filled out the profile, and put some clothes in the closet and we will see. I wear a size 10, so the selection was not as big as the larger sizes. But-There is a 30 Day FREE TRIAL-so I am trying it out! From there, I went googling to see if there were similar services and I found LE TOTE!!! Let me just say-I am in LOVE with this site!!! I paid $49-which is the monthly plan. If you use MY LINK-you get your first month for $24.99!! You fill your ‘closet’ with clothes-and they have NICE clothes. And a very big variety. Le Tote sends you 3 items of clothing and 2 accessories at a time, then you send them back (or you can buy them!) and they send you the same thing OVER AND OVER! It is UNLIMITED for the month!! I am most excited about the jewelry part of it because I am not good at all at picking it out. Plus, when I find what I like it usually seems to expensive to just buy for one outfit. They had Kate Spade Luck Brand, Kenneth Cole, and more to choose from and they are beautiful. If you use this link HERE to get to the site, there is a 1 minute video that explains their system. I’m so excited because I do not enjoy clothes shopping. I tend to buy the same kinds of clothes over and over. This way I can try new styles and if I don’t like them-send them back! Not spend money on something that is going to sit in my closet!! Plus if you are “in between sizes” You can use this process and wait to buy more clothes until you are in the size you want!! So-I am super excited about it and wanted to share!! I will update you when I get them in the mail this week!! Let me know if you ordered yours! It is only $24.99 for you with my Link!! I wish I had found someone else’s link to use, I paid the $49! I would love to see how it works out for you!